Ok, friends. 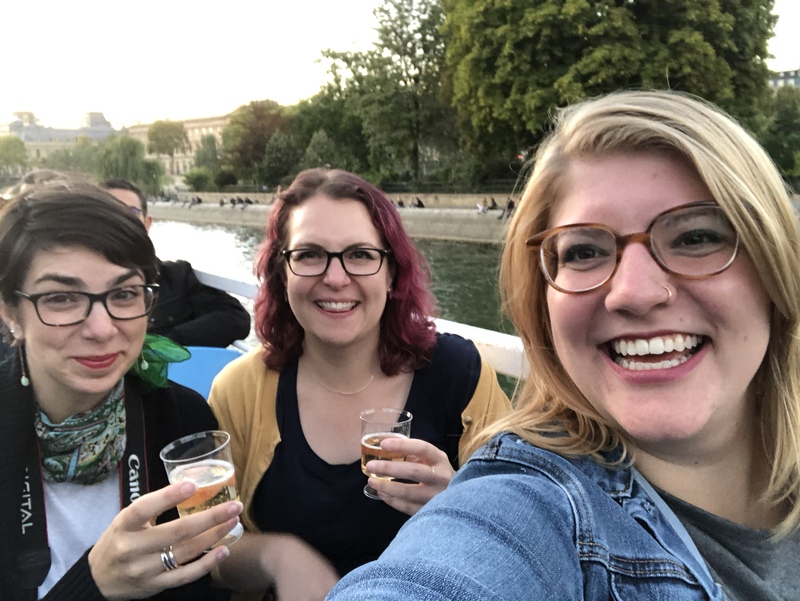 Fair warning: I’m happy, I’m book-drunk, I spent the weekend working on one of the most amazing book projects I know of with two of the most amazing women I know. I’m about to get sappy on you. 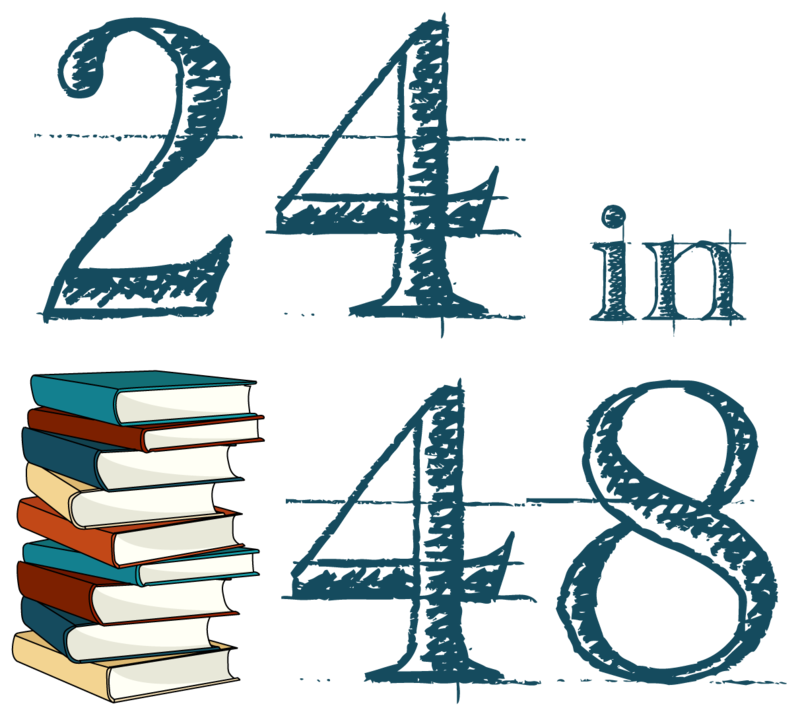 See, the thing about #24in48 is that it’s more than just a reading event. It’s a worldwide, simultaneous readalong. It’s a chance to share your love of books with other readers. It’s also a chance to get to know those other readers. And sure, those bookternet friendships may start on the internet, but they can blossom into so, so much more. So as we stare down the last few hours of another #24in48, let’s take a moment to appreciate the community of this weekend. The incredible people all around the world who love books just as much as you do. The internet friendships that become lifelong friendships. Here’s to all of you. Check out the Prize Page to select your prize. And don’t forget to check the past hourly posts to see if you won an earlier door or challenge prize. Cheers from your three co-hosts! And now I’m off to the books, sending bookish love to all of you and to my fellow co-hosts around the world. Well, picture me shouting this at you. Not that you have to scatter, of course, but this far into the ‘thon, it’s time to get up and move around. Have a little dance party, get yourself a glass of water, go for a walk around the block, do some downward-facing dog, find a new reading spot, shake out your arms, stretch your neck and back. Whatever your fancy, find a way to move, adjust, and realign yourself for the home stretch of this magical weekend. Because we’ve got less than 10 hours to go! Check out the Prize Page to claim your prize if your name was pulled here (and be sure to check the past hourly posts to see if you won a previous door or challenge prize, too). We’ve been going *almost* 24 hours, and I know that some of you are probably starting to wane. But never fear! The Doctor is here to help. You hear that? The Doctor never refuses. So as a reminder, you are doing a FANTASTIC job. No, really, you are. Ok, now that we’ve convinced you of the excellent work you’re all doing, let’s grab some new door prize winners! Scoot over to the Prize Page to pick your prize if you won (and don’t forget to check past hourly posts to see if you won earlier today!). Now… back to the books! You got this!